Want to have a glorious and green holiday? Check out these holiday tips that Adrienne Spahr, founder and principal consultant of DC’s own Green Living Consulting, gave at last night’s Green Drinks DC. Reuse or recycle wrapping paper — more than 8,000 tons of it, equal to 50,000 trees, festoon packages each year. Or wrap presents in creative, reusable materials. Send e-cards, or send cards made from recycled paper. If all cards were made from recycled paper, it would save the equivalent of 248,000 trees. Buy a locally grown Christmas tree and recycle it. Carry reusable shopping bags. 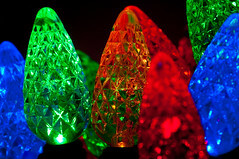 Buy LED holiday lights, to save watts and electricity dollars. If you get new electronics, recycle your old ones or sell them. Buy rechargeable batteries and chargers, and recycle old batteries. And after the holidays, “regift” that tacky sweater or shrimp deveiner to Goodwill, eBay, Craigslist or Freecycle. 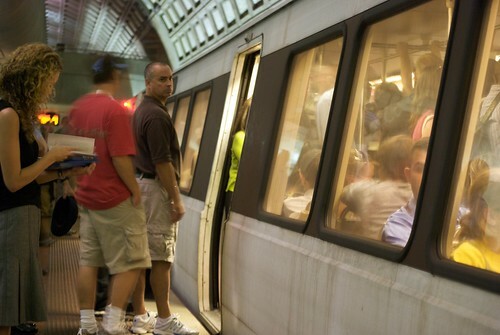 It’s the day before Thanksgiving, one of the busiest travel days of the year. Here’s some common sense tips to help make your journey a little less stressful – and a whole lot safer. Chances are if you’re reading this on the day before Thanksgiving, you’re either not going anywhere for the holiday weekend, you’re stuck at work hoping they’ll cut you loose early, or you procrastinated until the last minute and you need to leave five minutes ago. Still, regardless of your situation, I’m fairly sure these tips will come in handy at some point during the next six weeks as the end of the year comes upon us. It’s that blissed out season of grilling, ya’ll. Nothing says summer quite like a beer in one hand and a pair of tongs in the other. Our cute neighbor regularly busts out his gas grill, straps on his “Virginia is For Lovers” apron, and makes me jealous while whipping up steaks out on his fancy grill. I get all envious of his style and his yummy smelling food. My nutritionist, Danielle Omar, of Fairfax, Virginia sent out her newsletter today and included some super helpful tips on grilling from local catering Chef Oliver Friendly of Eat & Smile foods. A few of them were surprises to me (especially coming from my nutritionist) – over-salt your meat and use canola oil instead of olive oil in your marinades. For more tips on grilling, check out her blog. 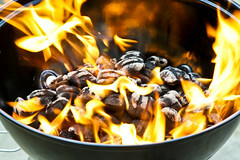 But that made me wonder (Carrie Bradshaw style) – what are your grilling tips? Favorite recipes? Favorite foods on the grill? Leave it in the comments! 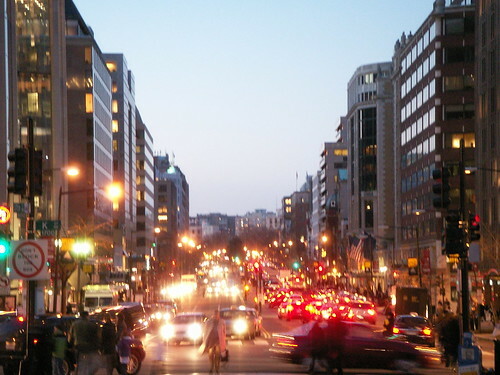 So Memorial Day has passed, meaning that from now through Labor Day, hordes of tourists will be pouring into the District for various events, concerts, vacations and visits. If you’re reading this and you’re a soon-to-be visitor to our region – or if you’re a resident who has friends or family coming in to visit – we want to encourage you to continue reading. We wish to equip you to better handle and enjoy our transit system with minimal disruption to those of us who live and work here. You don’t want to suffer the embarrassment of being a “District n00b” and we certainly appreciate minimal disruption to our daily commutes. So we’ve gathered up the opinions and suggestions from several District riders and residents and are going to share our golden wisdom with you. Trust us, it’s best this way.